Natrunsfar: Koala Clip Review + GIVEAWAY! 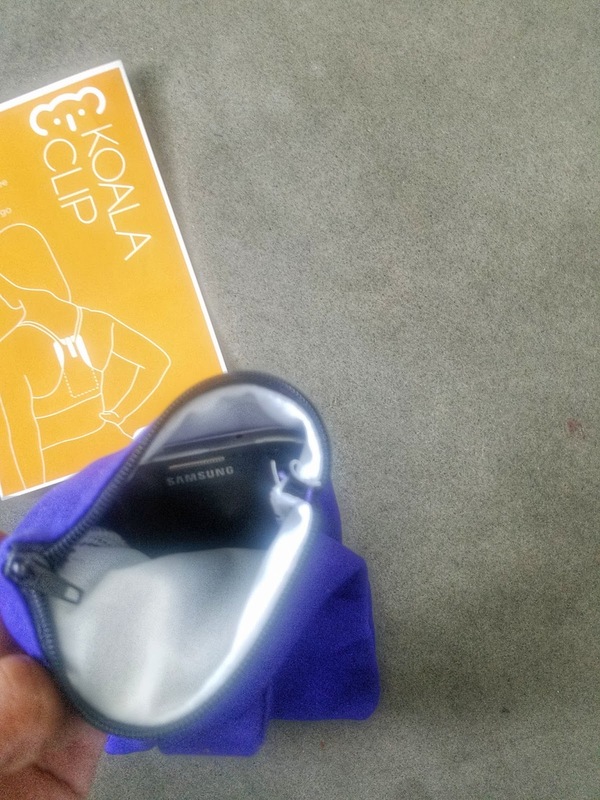 Koala Clip Review + GIVEAWAY! Running has been going well and I'm excited to review a new product that I know you are going to love as much I do! 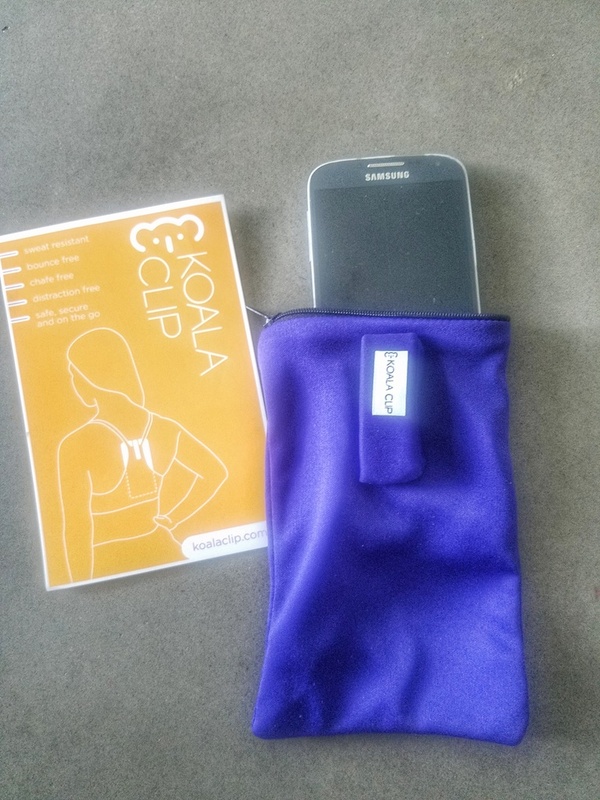 It's called the Koala Clip - an amazing little pouch for your phone that allows you to clip it onto your sports bra and not worry about where to put your phone. I don't know about you guys, but putting my phone in an arm band does NOT work well for me. I never liked the idea of having something on my arm while running. For a long time, I have placed my phone in the zipper pocket of my favorite shorts, but I've been really enjoying the Koala Clip. 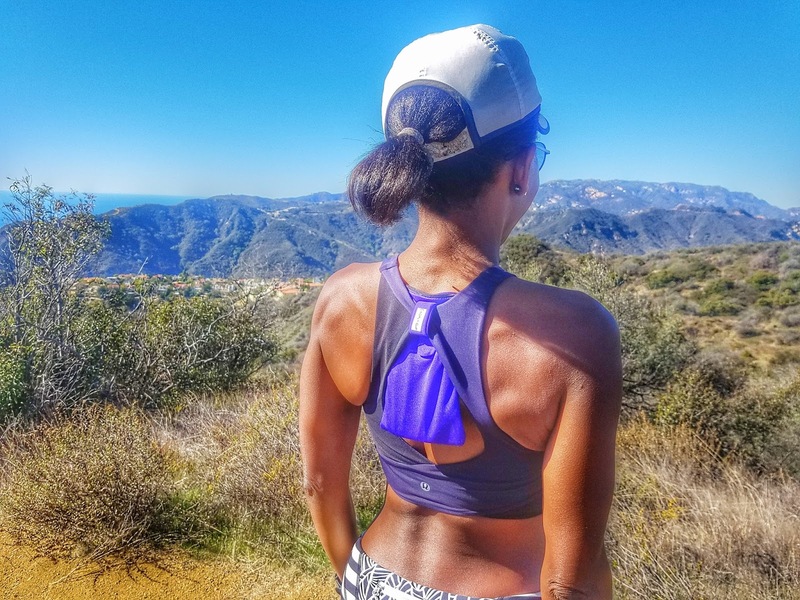 It allows me to attach my phone to my running bra, which leaves more room for fuel and my key in the back zipper pocket. I have taken the Koala Clip out for many runs in the past few weeks and it really does hold up to the challenge. 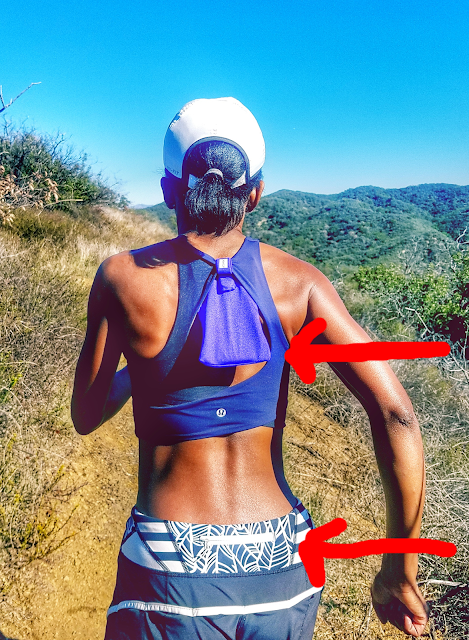 Trail runs on rocky terrain, long runs, tempo runs, easy runs, super sweaty, hot runs - this clip has stayed in place and I don't notice that it is there. I like that it fits in all types of running bras - the pics in this post are with a low cut (in the back) bra, so the clip sticks out a bit in the back, but it didn't bother me at all on the run. The only thing that I have to get used to is reaching my arm up to unzip and grab my phone rather than grabbing the back pocket. I usually put my phone in the bottom zipper pocket, now I have extra room for fuel and other items. I felt safe putting my phone in the pouch, it's well made and had a nice layer of cushion inside. I'm an android girl (not an iphone) and it fits great. Good padding and zipper to keep the phone secure. Now it's time for me to say "Guess whhhhaaat?" - and when I say that, you know it means something good! One of you lucky friends is going to get one too! I love sharing the love and Koala Clip is kindly giving one away. Head over to my Instagram to enter to win. 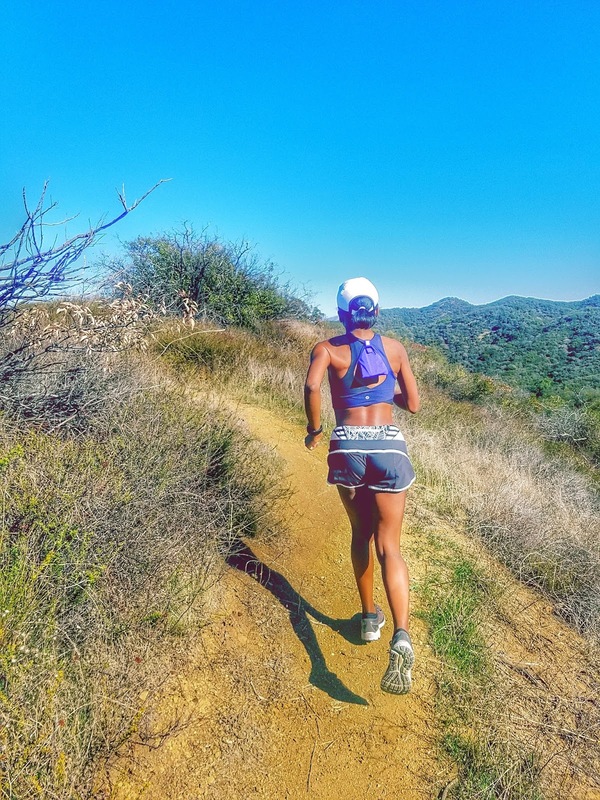 Whether you are running, strength training or cross training - who has time to worry about their phone? Koala Clip is a great solution to keep your phone safe and accessible. ** I was given a Koala Clip to review, but as always all opinions are my own.